« Quilt Show & Call For Entries! 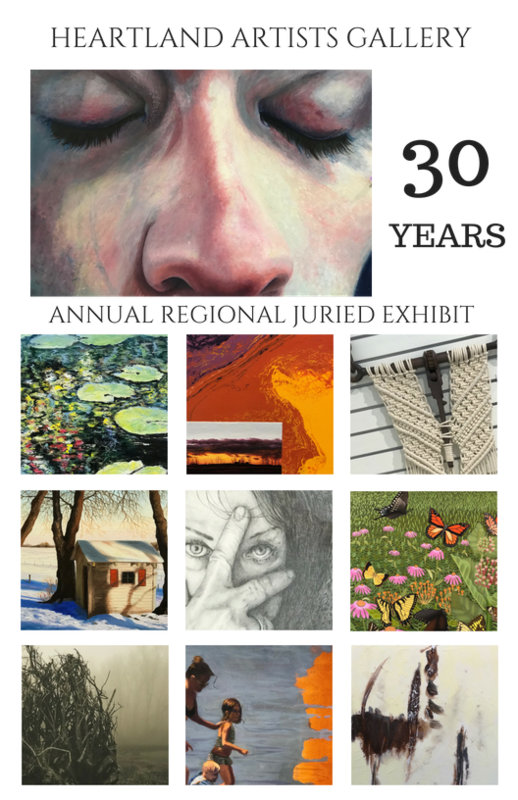 The Heartland Artists are excited to be celebrating their 30th Annual Regional Juried Art Exhibit! We are pleased to display over 100 pieces, in a wide variety of media: oils, acrylics, alcohol inks, textiles, mixed media, photography, graphite, colored pencil, metalwork, stained glass, pottery, pastels, watercolors, & wood carvings. The reception is scheduled for Saturday, October 6th and will feature delicious appetizers and harp performance by member artist, Cindy Boener. The reception is OPEN TO THE PUBLIC and AWARDS will be given at 3pm. Please join us!